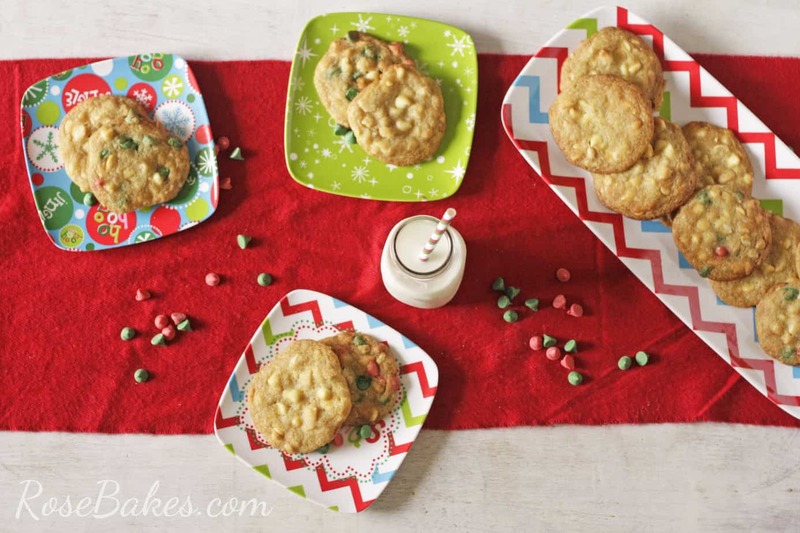 Today I’m sharing these White Chocolate Macadamia Nut Cookies as part of The 3rd Annual Great Food Blogger Cookie Swap! 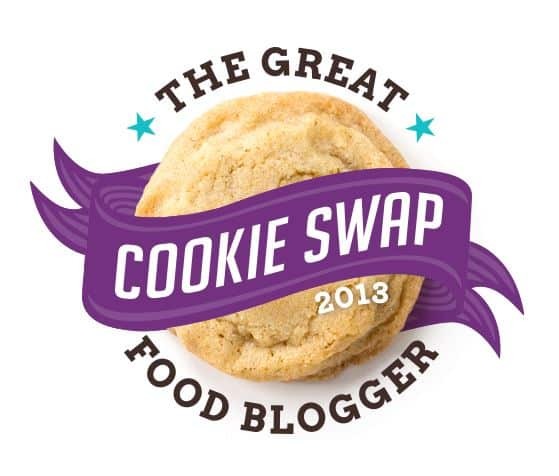 I joined up a few months ago and agreed to bake and share a new recipe – then mail 3 dozen cookies to 3 other food bloggers (a dozen each). In addition to being fun, and getting cookies in the mail from other bloggers (hello!? 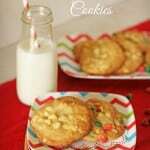 ), the funds raised from the project went to a great charity, Cookies for Kids Cancer! This year they raised over $13K!!! With cookies! Isn’t that great? I received cookies from Kelley of The Culinary Enthusiast and Lou from Lou & Esi (not sure what happened to my third box, but that’s okay 🙂 ). I sent cookies to Nicole from Cookies on Friday, Monica of De Lisha’s Recipes, and Sarah from Frankly Entertaining! PS. If you’re wondering… there is a $4 sign up fee to participate and that is what goes to the charity. If you’d like to receive a notification when it’s time to sign up next year, you can do that here. So, for my cookies, I decided to bake a cookie that I’ve always loved, but never had homemade. White Chocolate Macadamia Nut Cookies, to be specific. If chocolate chip cookies are my favorite (and this recipe is my favorite! 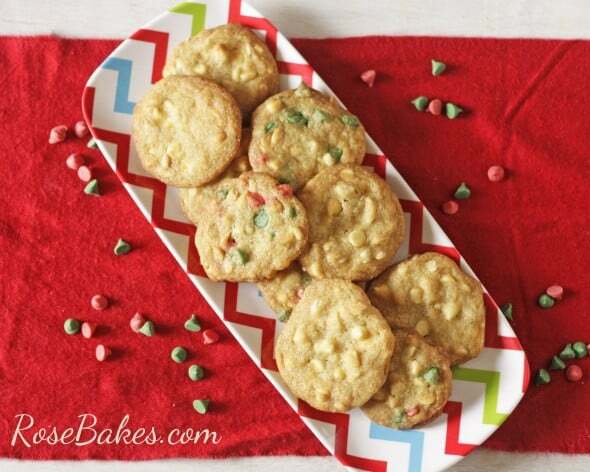 ), these White Chocolate Macadamia Nut cookies are a very close second! When I decided what flavor I wanted to bake, I set out to find a good recipe and landed in a collaborative cookbook that was given to me by my husband’s grandmother. 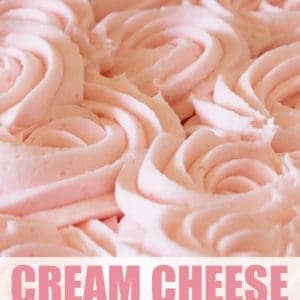 It is a pretty old cookbook (circa 1988), but hey… I don’t care as long as it works and this recipe did not disappoint! The cookies are crispy on the edges, soft in the middle, and melt-in-your-mouth delicious! Obviously you can use all white chocolate chips (that’s what the recipe calls for), but just for fun, I used red and green chips in half of the cookies . I thought it would add some Christmas cheer!! 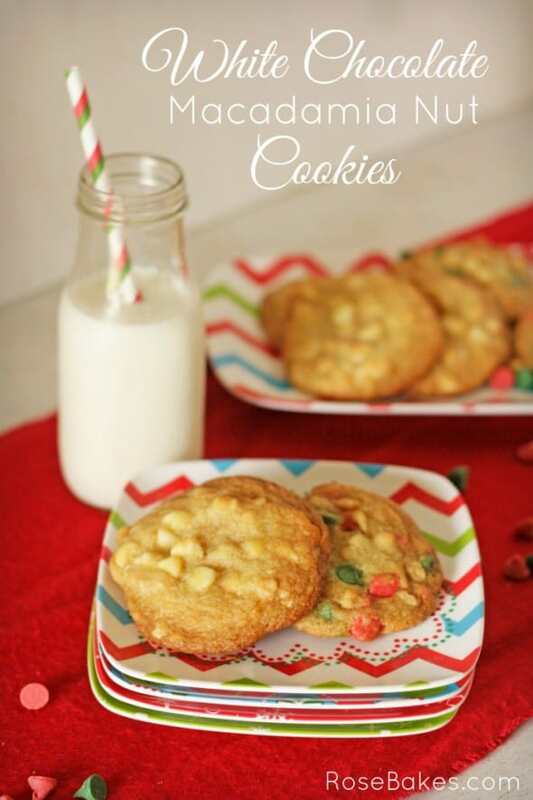 Perfect White Chocolate Macadamia Nut Cookies… crisp on the edges, and soft in the middle! Melt in your mouth delicious! In a large mixing bowl, mix together the butter, sugar, brown sugar, eggs, and vanilla extract until light and fluffy. In a separate bowl, whisk together the flour, baking soda and salt. Slowly incorporate into the wet mixture. When it’s blended well, mix in the corn syrup. 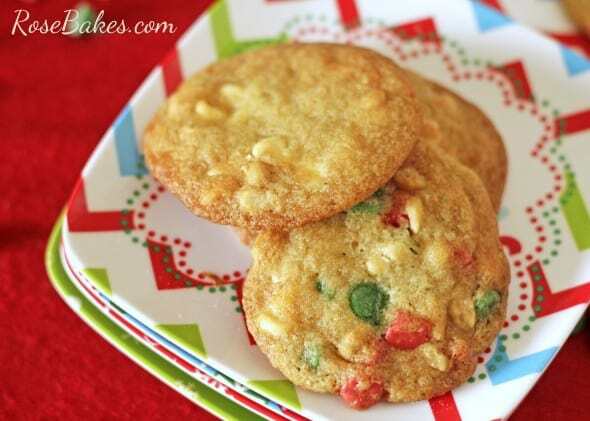 Stir the macadamia nuts and white chocolate chips into the batter. Drop by rounded tablespoons onto an ungreased cookie sheet (I like to line my cookie sheets with parchment paper). Bake for 9-12 minutes or until light brown on the edges. Allow to cool for 2 minutes on the pan, then move to a cooling rack to finish cooling. Thanks for sending such wonderful cookies! My husband and I enjoyed them so much. Mmmmm… sound yummy! Thanks for sharing. I’m going to try these! I love these cookies.